New!! each products :: ACT-0189 1/12 YAMAHA YZF-R1M No.1 Mechanical parts Set.+No.2 Gar Set. Home/New!! each products/ACT-0189 1/12 YAMAHA YZF-R1M No.1 Mechanical parts Set.+No.2 Gar Set. ACT-0189 1/12 YAMAHA YZF-R1M No.1 Mechanical parts Set.+No.2 Gar Set. 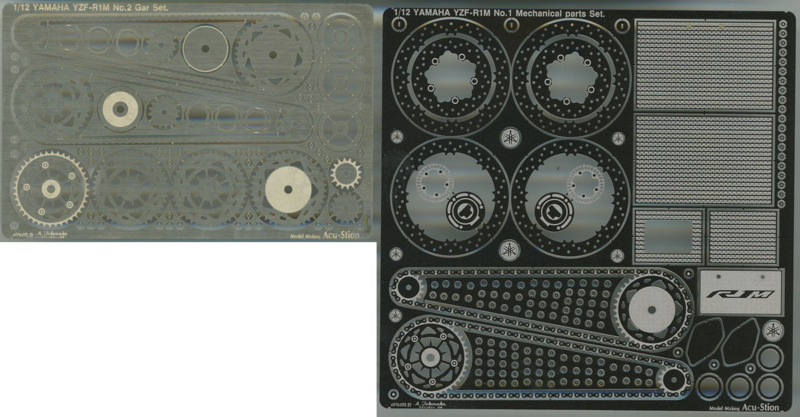 TAMIYA by.1/12 YAMAHA YZF-R1M It's correspondence detail improvement & transformer kit. The part group is exactly good at detail by the reproduction even of the detail by various process of manufactures. 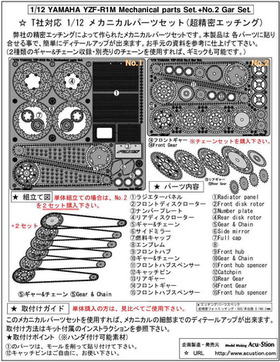 The usage because there are various parts.Please do choice to the purpose additionally.